The Moringa Repair Shampoo, with 99.8% ingredients of natural origin, is a new organic certified haircare product dedicated to colored hair. Gently cleans and revives hair’s natural shine, while restoring the fibers of dry damaged hair and protecting the scalp. Dermatologically tested, allergen free, no parabens, no silicones, no SLS. The Moringa Repair Shampoo, indicated for a daily use, is specialy formulated for dry damaged or stressed hair, frequently exposed to perms or color treatments. Thanks to the Moringa Oleifera, also known as Miracle Tree for its many health and nutritional benefits, it provides high concentration of antioxidants, vitamins, minerals, phytonutrients and proteins. Its seeds, primary source of oil and proteins, restore the hair with an intense repairing and anti-aging action and protect it from UV and pollution. 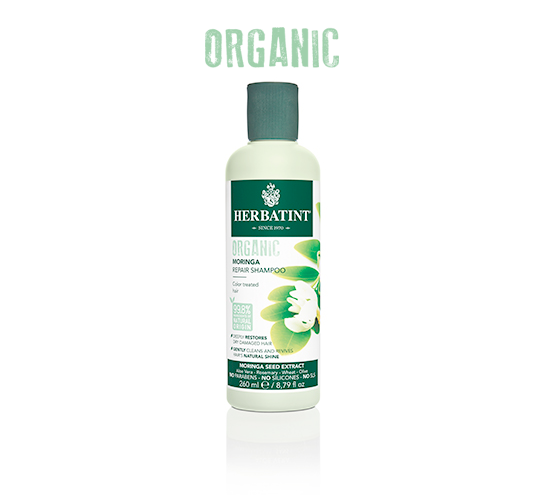 The regular use and combination of Moringa Repair Shampoo and Moringa Repair Conditioner guarantees an optimal result. The Moringa Repair Conditioner with 99.8% ingredients of natural origin is a new organic certified haircare product dedicated to coloured hair. Without parabens, silicones and SLS, it nourishes and moisturizes dry damaged hair and improves hair manageability and well-being. The Moringa Repair Conditioner deeply nourishes and restores the natural well-being of dry damaged hair. Particularly indicated for coloured, permed or stressed hair.A mix of Moringa, Aloe vera, Rosemary, Wheat and Olive extracts allows many health and nutritional benefits, and provides high concentration of antioxidants, vitamins, minerals, phytonutrients and proteins. Deeply nourishes, revitalizes and adds body and softness to the hair, helping to restore the natural balance.For best results, use it together with the Moringa Repair Shampoo. Apply it to wet hair after shampooing. Leave it on for 5 minutes then rinse. 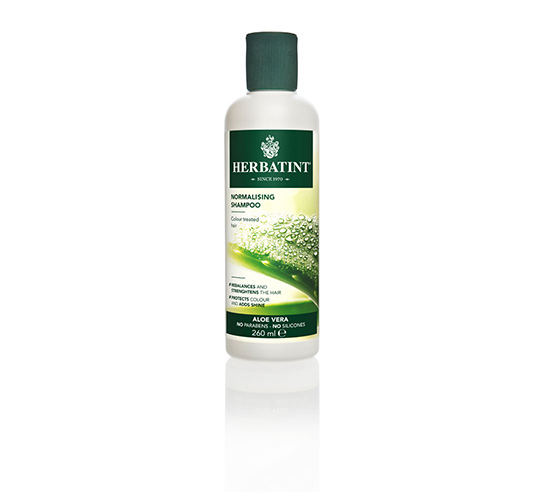 The Herbatint Normalising Shampoo protects your colour by cleansing your hair gently. Intense and long-lasting colour, healthy hair and protected skin. The Normalising Shampoo, rich in aloe vera extracts, strengthens your hair and prolongs its colour intensity. Its unique formula gently cleanses, moisturizes and restores the hair’s natural pH, protecting the skin. The colour is intense and long-lasting. Specifically formulated for hair subjected to regular colouring or simply dry and weakened, this shampoo is parabens and silicones free. Its gentle formula neutralizes and eliminates any pigment residues without affecting the colour intensity. 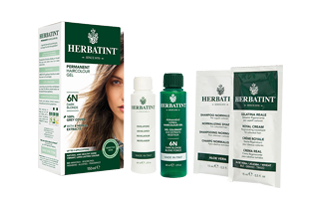 The regular use and combination of Herbatint Normalising Shampoo and Royal Cream after the use of Herbatint permanent haircolour gel guarantees colour duration and intensity. 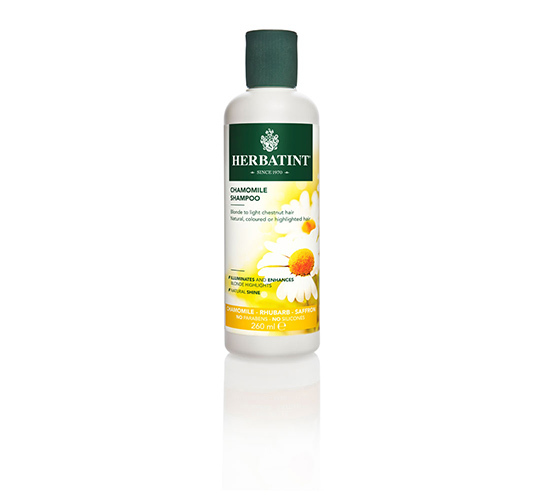 The Chamomile Shampoo of the Herbatint Haircare line brightens your color ensuring shine and hydration to your hair. Bright color and full-bodied hair without altering the natural pH. 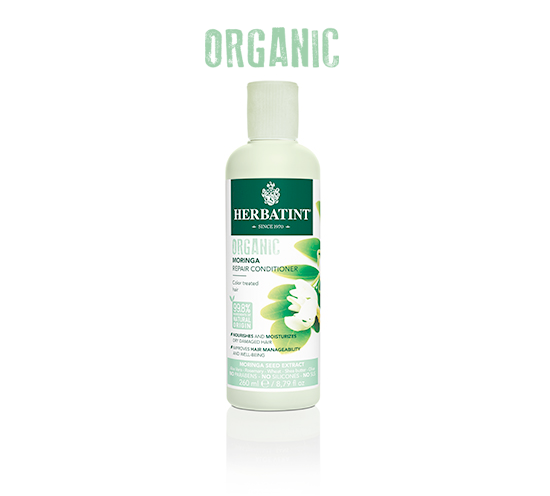 The Chamomile Shampoo revives and naturally enhances highlights in blond and light brown hair. The combination of extracts of chamomile, rhubarb and saffron lights up your highlights. Your hair regains its splendor and softness. 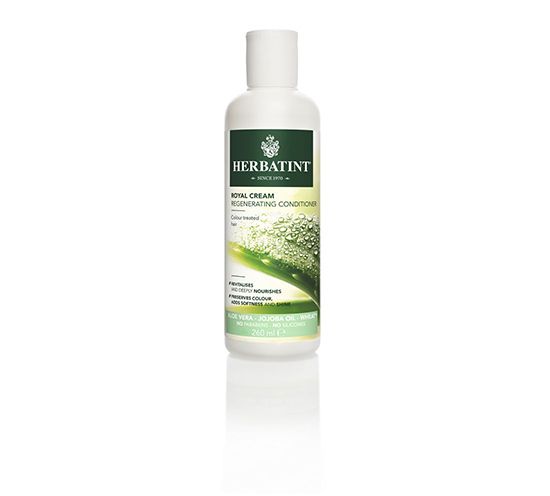 The Herbatint Royal Cream nourishes and deeply restructures your hair. A true beauty treatment that grants softness and manageability. The Royal Cream is an intensive regenerating treatment. Proteins and vitamin F enrich its unique formula that combines the benefits of aloe vera, jojoba oil and wheat germ extracts. 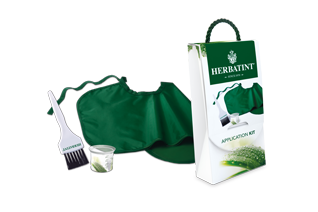 It nourishes and revitalizes dry, damaged or coloured hair. If applied after colouring, thanks to its acid pH, it perfectly recloses hair cuticles and restores natural balance, while maintaining colour intensity: the hair is as soft as silk, the colour is intense and bright. The formula does not contain parabens and silicones. Vitamin F, better known as Omega 3, composed of a mixture of three essential fatty acids (AGE): linoleic acid, alpha-linolenic acid and arachidonic acid, favors the integrity of hair and skin, turning the Royal Cream into a good ally of beauty and health. For best results use it together with the Normalising Shampoo or Chamomile Shampoo.